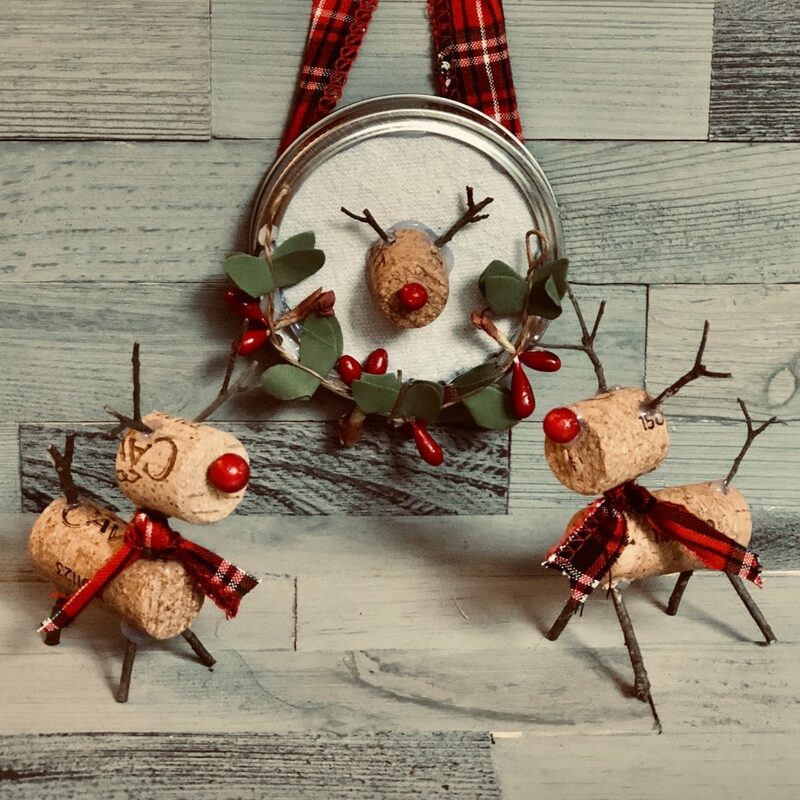 Super easy deer craft using the wine corks you’ve been saving. Cut one of the wine corks in half and set one of the halves aside. 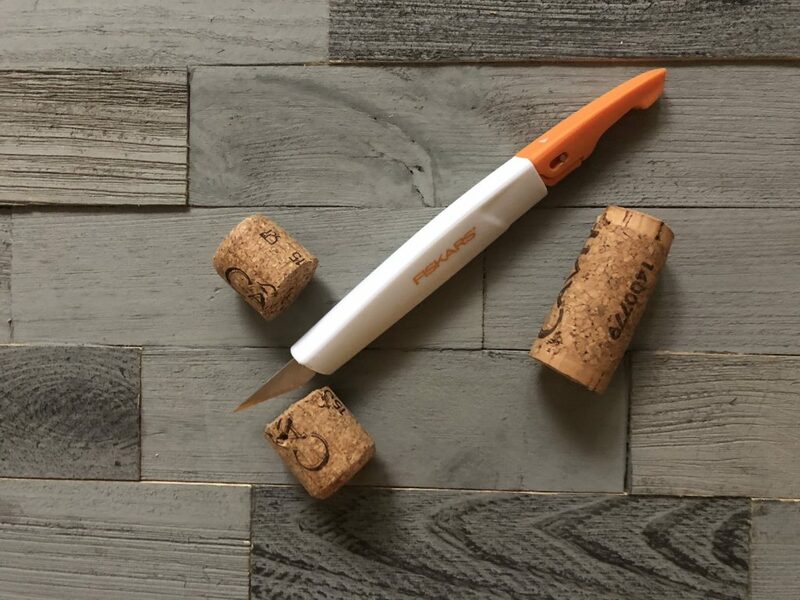 Using the blade on the longer cork make two tiny holes on each end opposite of one another, this is where the legs are going to go. One the opposite side of the cork put one tiny hole on each of the ends, this is where the neck and tail are going to go. 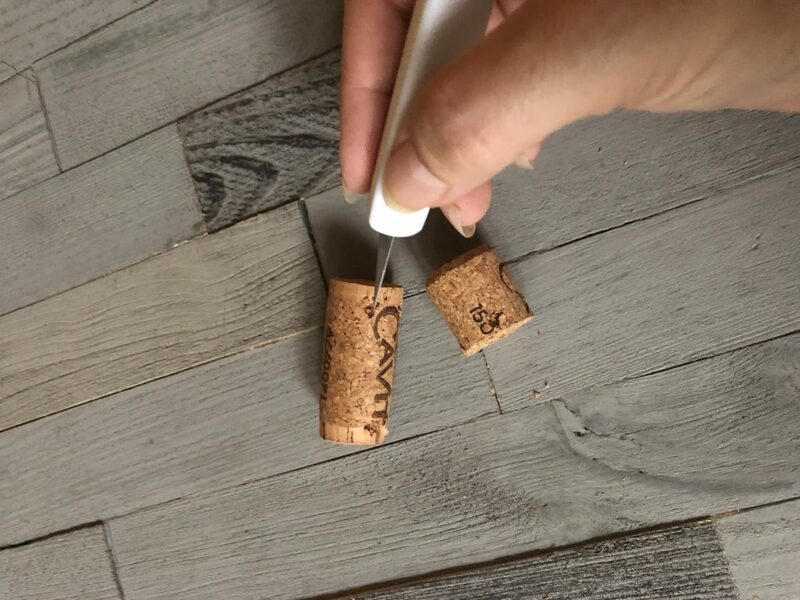 On the smaller piece of cork, make two holes close together near the cut end and on the other side, one hole for where the neck will connect to the body. With your twigs and snapping with your hands, make four the same length, these will be the legs. Make two slightly shorter, these will be the neck and the tail. Looking for twigs with tiny off shoots, snap off two sets, these will be the antlers. On the crafting berries, find a small one and pull it off. Now it’s time to assemble the deer together. Now we are ready to glue everything together. 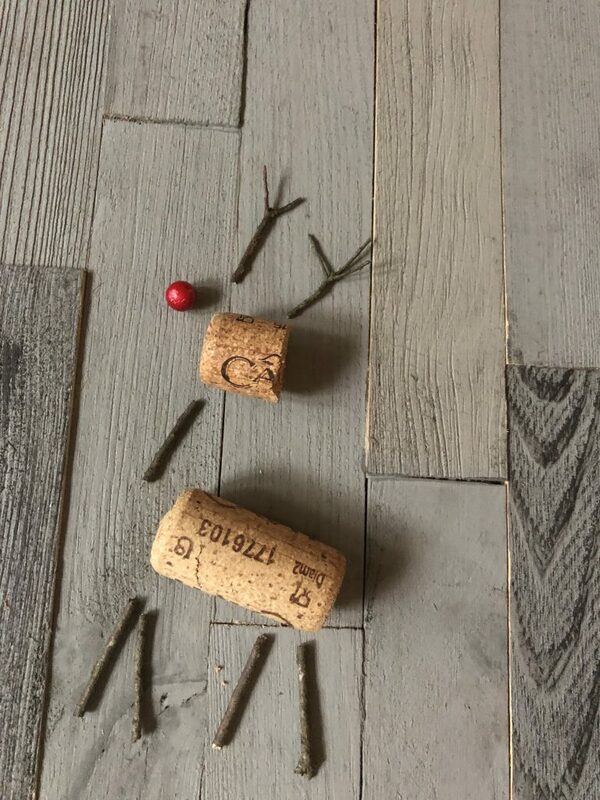 Start by gluing in the legs and tail on the longer piece of cork, set aside to let cool. Stick the antlers in the head and the neck using hot glue to secure. Carefully attach the head of the deer to the body using hot glue to secure. Let everything cool. Here is the video where you can watch all of this magic come to life. 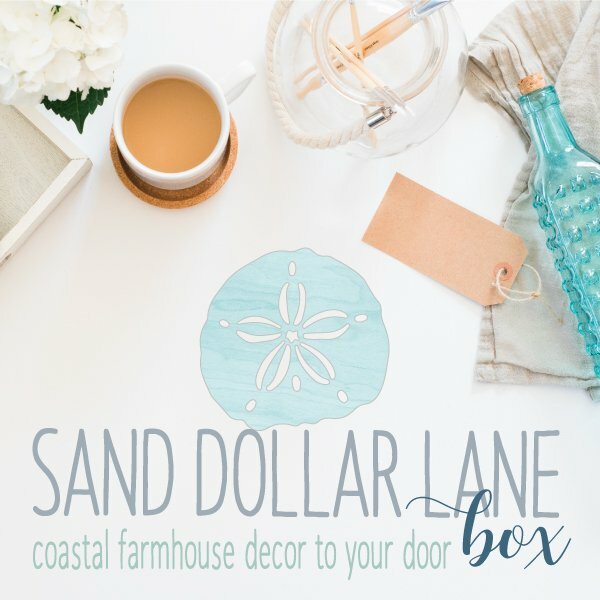 If you watch the video I explain how I made the mason jar lid ornament too and a little heads up for the little folks in your life! 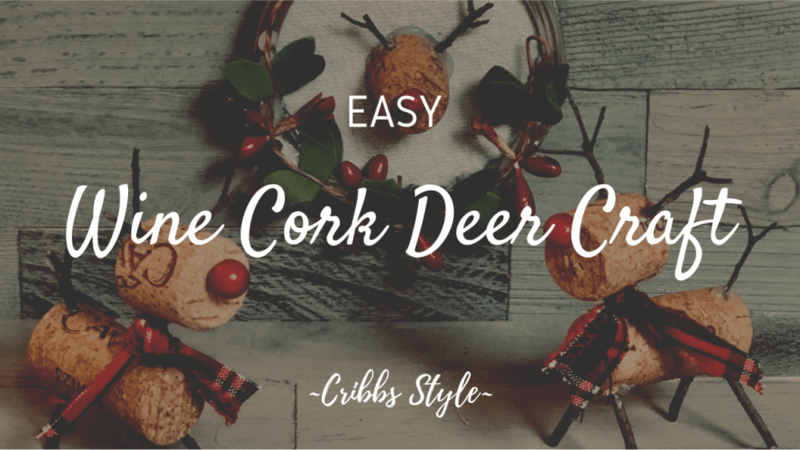 I also give some suggestions on how else you can use your new little deer friends. I am in LOVE with these. I can’t get the supply links to work. Can you help? 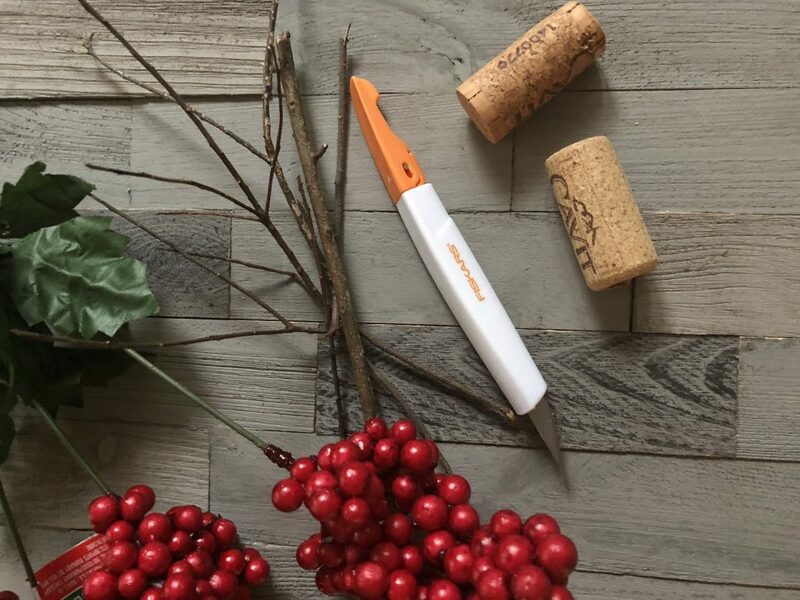 Cutting knife and hot glue gun. Might be bc I’m at the office.